This morning we visited the Soho Hotel in London’s West End to attend a press conference and breakfast hosted by Chime for Change, who were announcing their upcoming global concert The Sound of Change Live, the first ever global concert for women’s empowerment. Chime for Change is a campaign founded by Gucci creative director Frida Giannini, Beyoncé and actress Salma Hayek Pinault. Focusing on the three pillars of education, health and justice, the campaign seeks to raise funds for projects to promote and empower women round the world. Giannini said now was ‘a significant moment in the history of girls’ and women’s empowerment’ and it is the ‘time for change’. First we heard from Salma Hayek Pinault, who confirmed the concert would be taking place. She said: ‘There are no innocent bystanders in the information age. Then we were shown a screening of an inspirational documentary ‘Humaira: the Dream Catcher’, directed by award-winning filmmaker Sharmeen Obaid-Chinoy. The film shows us the real life story of Humaira Bachal, a young women from Pakistan passionately fighting to give girls in her community the chance to get an education. Bachal has set up a school which educates over 1,200 children despite this being frowned upon by the men in her community, who she visits personally to tell them of the merits of a woman’s education. 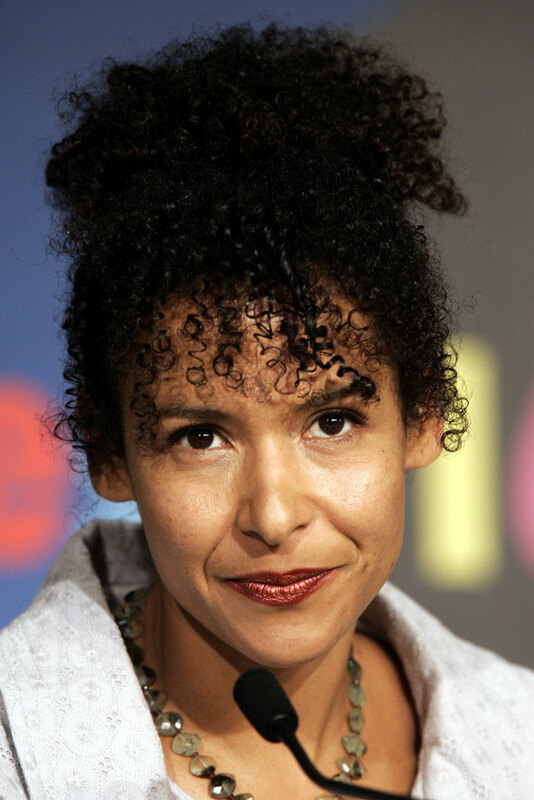 After the announcement and film Marie Claire sat down for a quick interview with journalist Mariane Pearl, who has been appointed as the managing editor of Chime for Change’s original journalism platform. Ms Pearl is the widow of investigative journalist Daniel Pearl, who was kidnapped and murdered in 2002 by terrorists in Pakistan. Her memoir of this time, A Mighty Heart, was adapted into a film starring Angelina Jolie. Pearl has long championed women’s rights, writing a column called Global Stories telling the tales of inspirational women around the world. Why did you decide to get involved with Chime for Change? I started being involved with Gucci during their Tribeca Festival four years ago. I was one of the judges and I loved it. I thought it was great that a brand was dealing with very difficult subjects and I got talking about doing storytelling about women which was positive – I was getting frustrated with the way the media talked about women, it was patronising. The documentary showed us the power of education, do you think it’s the most important way to empower women? Education is absolutely key, as are justice and health. These three pillars can enable women to stand on their own feet and give them ways to tap into their potential because women have incredible potential. In the developing world women can do amazing things but they need this. Of course, without this they do achieve incredible things, but it’s a women’s right to good education, health and justice. They need that. What needs to change to help women round the world? At the heart people need to believe in people, in their potential. The film we just saw, it’s one girl, Humaira. Malala is one person. This is what I hope to achieve through my platform, I want to bring together many first person stories as I can so people can see what women can do. You wrote about inspirational women round the world for Global Diaries, did any stand out? Fatima Elayoubibe, a cleaning lady I interviewed who wrote poetry and words about her life in her kitchen really touched my heart, because you just knew she represented so many women who have been silenced for so long. Also the first young person to be nominated for a Nobel Peace Prize, a Colombian kid called Mayerly Sanchez. To be honest though I loved the range of women I spoke to, from this cleaning lady to female presidents. It showed it doesn’t matter where you come from, it’s who you are. To view the film Humaira: the Dream Catcher, click here. Tickets for the concert, featuring acts such as Beyoncé, Ellie Goulding and Florence and the Machine, go on sale tomorrow morning at 9am. All ticket sales will support projects seeking change for girls and women as Gucci have agreed to underwrite the cost of the event. Tickets will be available here. INSPIRATIONAL WOMEN FROM ROUND THE WORLD – WE SALUTE YOU!